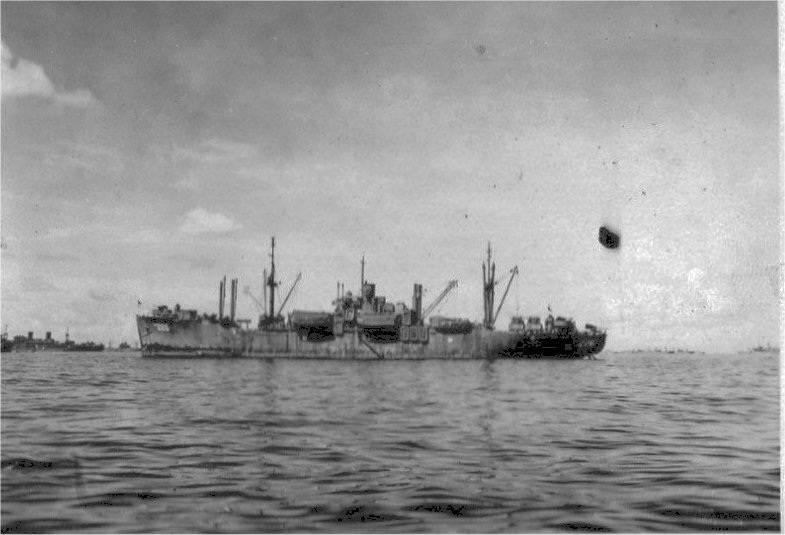 Laid down, 10 August 1944, as a Maritime Commission type (VC2-S-AP5) hull under Maritime Commission contract (MC hull MCV 672) at Kaiser Company Inc. Vancouver, WA. 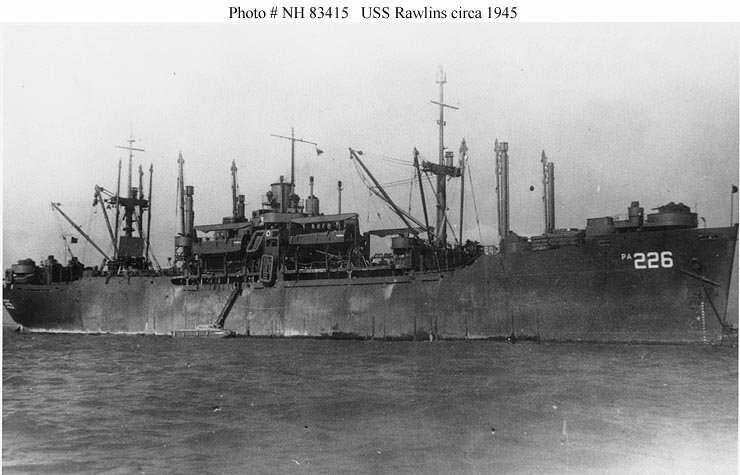 Decommissioned, 15 November 1946, at Norfolk, VA. Returned to the Maritime Administration, 15 November 1958, for lay up in the National Defense Reserve Fleet, Wilmington, N.C. Final Disposition, sold for scrapping, 31 August 1987, to An-Hsiung Iron and Steel Co. Ltd., Kaohsiung, Taiwan, for $543.064.42. Removed 16 October 1987. Scrapping completed, 16 February 1988. 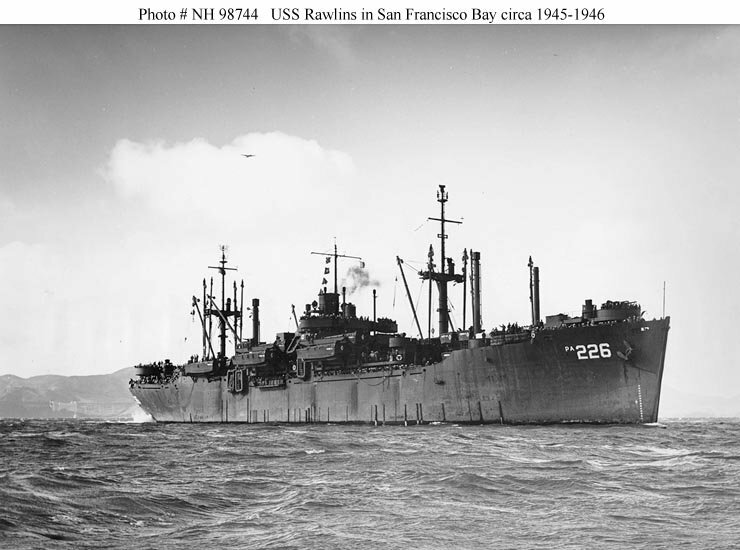 69k USS Rawlins (APA-226) in San Francisco Bay, in late 1945 or early 1946. She is returning troops from the Western Pacific to the United States as part of Operation "Magic Carpet.". 66k USS Rawlins (APA-226) at anchor, circa 1945, place unknown.